What exactly is Corporate governance? Before going deep into the topic, let’s first understand the structure of a company or corporation. There are a few entities which revolve around most companies and those include owners (shareholders), the board of directors, management and the stakeholders such as employees, suppliers, customers as well as the public at large. A good company should not only make a profit for the founders or owners but should benefit all stakeholders. Interests of ordinary shareholders should never be compromised. Shareholders are the true owners of the corporation and all governance policies of a corporation should uphold this fact. Corporate governance is the ethical practice of corporate administration where the interests of shareholders and other stake holders are always given high priority. Corporate governance is a concept which revolves around the appropriate management and control of a company. It includes the rules relating to the power relations between owners, the board of directors, management and the stakeholders such as employees, suppliers, customers as well as the public at large. Sustained growth of any organization requires the cooperation of all stakeholders, which requires adherence to the best corporate governance practices. In this regard, the management needs to act as trustees of the shareholders at large and prevent asymmetry of benefits between various sections of shareholders, especially between the owner-managers and the rest of the shareholders. In general, corporate governance corresponds to the fair, transparent and ethical administration of a corporation giving maximum benefits to the shareholders. Ethics is at the core of corporate governance, and management must reflect accountability for their actions on the global community scale. Corporate governance is a relatively new term used to describe a process, which has been practised for as long as there have been corporate entities. This process seeks to ensure that the business and management of corporate entities is carried on in accordance with the highest prevailing standards of ethics and efficacy upon the assumption that it is the best way to safeguard and promote the interests of all corporate stakeholders. A basic definition of corporate governance, which has been widely recognized, was given in a report by the committee under the chairmanship of Sir Adrian Cadbury tiled (the Cadbury Report): This definition of corporate governance has been endorsed in various other discourses on the subject, including the 1998 final report of the Committee on The Financial Aspects of Corporate Governance. Corporate governance is the system by which companies are directed and controlled. Boards of directors are responsible for the governance of their companies. The shareholders’ role in governance is to appoint the directors and the auditors and to satisfy themselves that an appropriate governance structure is in place. The responsibilities of the directors include setting the company’s strategic aims, providing the leadership to put them into effect, supervising the management of the business and reporting to shareholders on their stewardship. The Board’s actions are subject to laws, regulations and the shareholders in general meeting. Cadbury Committee Report-The Financial Aspects of Corporate Governance (1992). Greenbury Committee Report on Directors’ Remuneration (1995). Hampel Committee Report on Corporate Governance (1998). The Combined Code, Principles of Good Governance and Code of Best Practice, London Stock Exchange (1998). CalPERS’ Global Principles of Accountable Corporate Governance (1999). King Committee On Corporate Governance (2002). Higgs Report: Review of the role and effectiveness of non-executive directors (2003). The Combined Code on Corporate Governance (2003). ASX Corporate Governance Council Report (2003). OECD Principles of Corporate Governance (2004). The Combined Code on Corporate Governance (2006). UNCTAD Guidance on Good Practices in Corporate Governance Disclosure (2006). The Combined Code on Corporate Governance (2008). 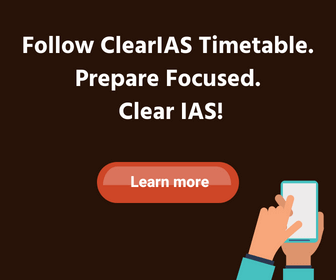 In India, corporate governance initiatives have been undertaken by the Ministry of of Corporate Affairs (MCA) and the Securities and Exchange Board of India (SEBI). The first formal regulatory framework for listed companies specifically for corporate governance was established by the SEBI in February 2000, following the recommendations of Kumarmangalam Birla Committee Report. It was enshrined as Clause 49 of the Listing Agreement. Further, SEBI is maintaining the standards of corporate governance through other laws like the Securities Contracts (Regulation) Act, 1956; Securities and Exchange Board of India Act, 1992; and Depositories Act, 1996. The Ministry of Corporate Affairs had appointed a Naresh Chandra Committee on Corporate Audit and Governance in 2002 in order to examine various corporate governance issues. It made recommendations in two key aspects of corporate governance: financial and non-financial disclosures: an independent auditing and board oversight of management. It is making all efforts to bring transparency to the structure of corporate governance through the enactment of Companies Act and its amendments. It has been suggested that the Indian approach is drawn from the Gandhian principle of trusteeship and the Directive Principles of the Indian Constitution, but this conceptualization of corporate objectives is also prevalent in Anglo-American and most other jurisdictions. Just like the governance of a country, the governance of a corporation is also not an easy matter. Almost all modern corporations work transparently; there will be elections to the top posts. Shareholders elect the Board of Directors. Board of Directors appoint the officers (management) for day to day administration. They will run the company on behalf of shareholders. Commitment to the highest standards of ethics and integrity should be an uncompromising principle of every corporation. The objective of establishing a good governance structure is to foster entrepreneurial drive within a system of accountability to ensure maximum returns to all stakeholders. While it is debatable whether consensus can be reached on what is ‘Best Practice’ in terms of Corporate Governance, considering the structure, complexity and diversity of organizations. However, as a responsible corporate citizen, we make sure that we adhere to corporate best practices at all times. 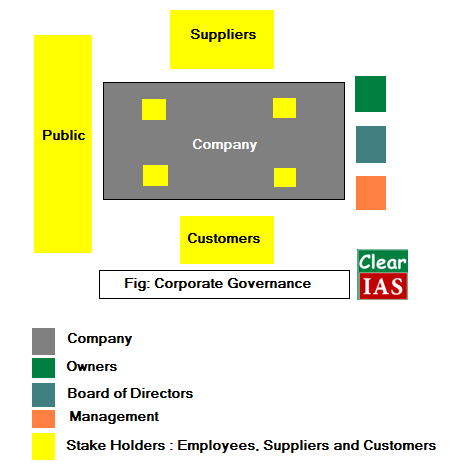 Corporate governance is based on principles such as conducting the business with all integrity and fairness, being transparent with regard to all transactions, making all the necessary disclosures and decisions, complying with all the laws of the land, accountability and responsibility towards the stakeholders and commitment to conducting business in an ethical manner. Another point which is highlighted in the SEBI report on corporate governance is the need for those in control to be able to distinguish between what are personal and corporate funds while managing a company. NFCG: National Foundation for Corporate Governance. The term is highlighted whenever there are corporate frauds. Corporate Governance and Code of corporate governance calls for ethical and accountable corporate administration. The best practices of corporate governance are important not only for public or shareholders but also for the very existence of the company itself. Adopting corporate governance will increase the value, sustainability and long-term profits. These days, it is not enough for a company to merely be profitable; it also needs to demonstrate good corporate citizenship through environmental awareness, ethical behaviour and sound corporate governance practices. Corporate governance became a pressing issue following the 2002 introduction of the Sarbanes-Oxley Act in the U.S., which was ushered in to restore public confidence in companies and markets after accounting fraud bankrupted high-profile companies such as Enron and WorldCom. Importance of corporate governance was highlighted at the time of Satyam Fraud and also when Kingfisher Airlines was making a loss.